In our experience, this question floors most people when first asked, as they’ve not thought about things in that way. Instead of coming up with an arbitrarily desired pot of money, a generic number, at Hartcliff we look at lifestyle financial planning differently. We work out, with input from you on your current and desired future lifestyle, your own unique number – how much is enough for YOU. All the time, we have conversations with our clients where we do a really odd thing – we listen. We get to know you by hearing about your hopes and aspirations, and your pressure points, all before we talk about money at all. Our clients enjoy this collaborative approach – see some testimonials below of them telling us this. All this listening leads to a lifestyle financial plan that is totally focused on you and your own future. 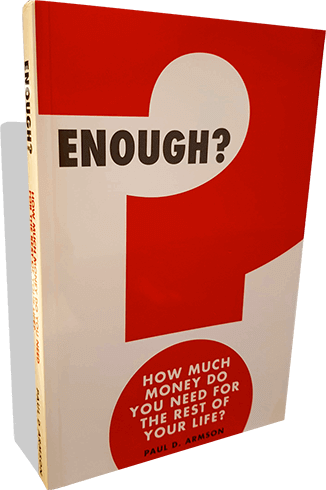 And to help you to start to answer the ‘enough’ question, grab a copy of our FREE book below. Click to find out how we work with businesses and with individuals.